August 2014 was a great month. I celebrated my 25th birthday, was offered a top new job as a news editor and my girlfriend and I were about to buy a house. Things were really looking up. So when I was diagnosed with a rare and aggressive form of kidney cancer just two months later, it was a massive shock. I’ve already undergone surgery and I’m now having treatment – so I’ve set up this website to share my experiences, raise awareness and start writing again. Thanks for visiting my website. 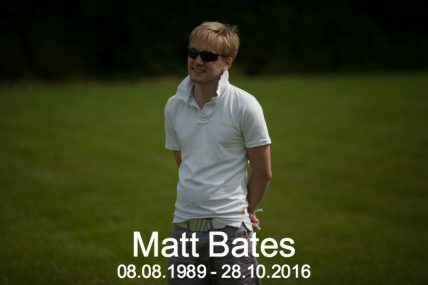 My name’s Matt Bates – I’m a pretty average 27-year-old except for one thing – I’ve been diagnosed with stage four cancer. At first I decided to keep my diagnosis a secret with the aim of continuing a normal life, but in December 2015 I decided to go public. You won’t find any sob stories or appeals for sympathy here – I’m still living a cracking life! I just want to keep my friends updated, raise awareness of kidney cancer and my treatment, and get writing again after leaving a career in local journalism to focus on my recovery. So if you fancy checking out the rest of my website and blog, thank you – and feel free to get in touch!